In one shake, you get concentrated fruit extracts with 42 purifiers, detoxifiers, cleansers, and energizers packed into this powerful fruity meal replacement. Go Ruby Go! has amazing antioxidants, energizing herbs, vitamins and more are packed into a superfood meal on the go. 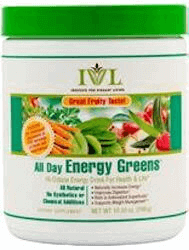 For an extra boost, consider All Day Energy Greens in your shake and to get full days vegetables too. Already making a shake or beverage? 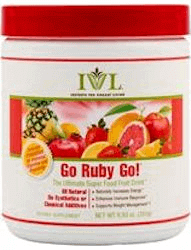 Consider adding All Day Energy Greens Combo with Go Ruby Go to your shake for even better results! Super food is an unofficial and unscientific marketing term used my marketers to describe foods that are high with nutrients or phytochemical contents that usually confers great health benefits to the users. A very popular amongst the ever increasing list of super foods is blueberries, which contains a rich concentration of anthocyanins, vitamin C, manganese, dietary fiber and has very low calorie content.